For advanced users wishing to exploit the full power of Snow Owl's API, we have provided scripting support for ad hoc queries, validation, and more. 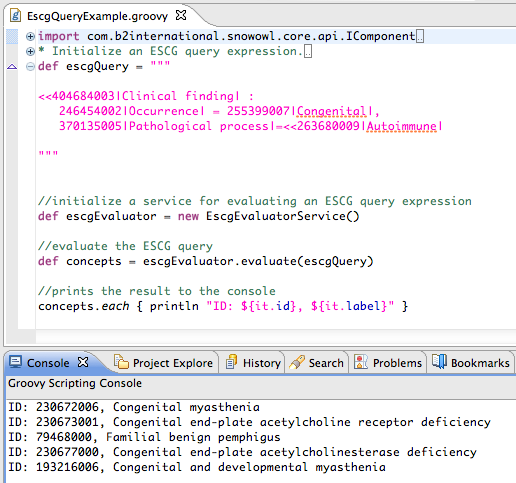 We have integrated a full-featured Groovy editor to simplify creating scripts. 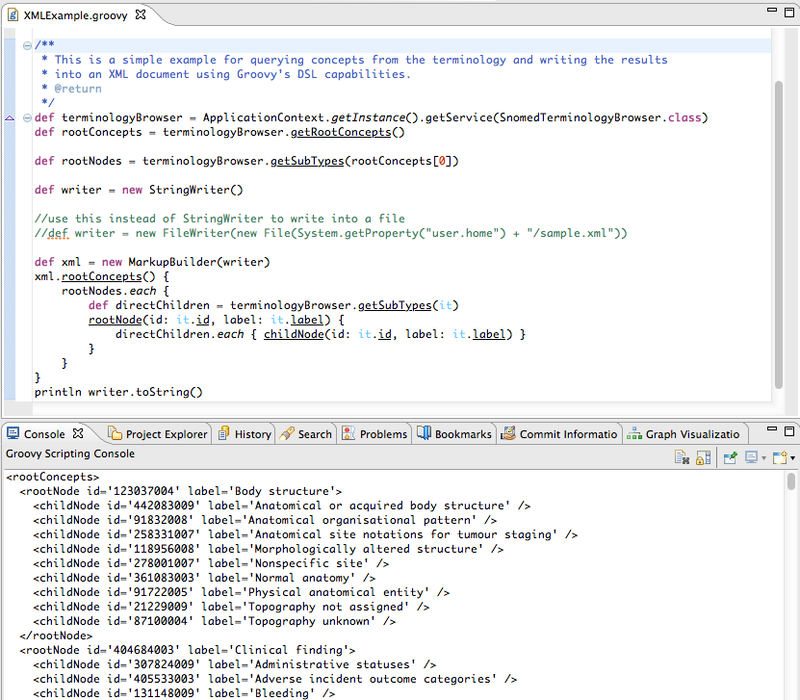 Those more comfortable with Java can use Java syntax within their Groovy scripts as well.